[0:00] <advancednewbie> each column in the cpu(n) lines gives the total CPU time, and you have to take subsequent readings of it to get percentages. [0:02] <djazz> hmm, time in microsecs? [0:38] <Elspuddy> any one tryed to used cups and airprint on ios6 ? [0:54] <AC`97> my pi is frying. [0:56] <AC`97> djazz: i like that. [0:56] <AC`97> like 85C, or negative something-huge ?? [0:58] <bakers> [SLB]: Does this include the demo? [0:59] <djazz> what does conservative do? [1:02] <manitou> how to setup fan(where to find one ) and to controll it ? [1:08] <Elspuddy> any one tryed to used cups and airprint(on the raspberrypi) on ios6 ? [1:29] <AC`97> Dovid: did you unmute? [1:53] <tonsofpcs> does anyone have a linux distro running that either rygel or xbmc can be installed and functional as a upnpav renderer (where stuff plays) from packages (no manual build or install)? [2:00] <tonsofpcs> trevorman: does xbian let me get out of xbmc? [2:01] <misterhat> so is arch just as fast as raspbian? [2:01] <misterhat> what is this? [2:02] <misterhat> what is hardfloat? [2:03] <misterhat> is it something to do with memory? [2:03] <des2> You know what a floating point nimber is ? [2:04] <misterhat> so does normal debian support it? [2:04] <des2> Most modernCPUs have hardware to do those. [2:04] <des2> But you have to have the right code to use the hardware. [2:05] <des2> Raspian is in the lead for support at the moment. [2:05] <des2> Even has the overclocking stuff built in. [2:13] <tonsofpcs> so soft float deosn't use the floating point ops of the cpu but instead does fp math in software as integer math on the cpu? [2:13] <CampinSam> anyone know if slackware runs well on a pi? [2:14] <chithead> does slackware run at all on arm? [2:16] <CampinSam> just googled it, rather. [3:37] <mbeierl> it is rev b, and I've done a modprobe of rt2800usb, but still nothing. How does one install the firmware - other than having the firmware-ralink installed? [3:53] <mbeierl> chithead, I ran that command and got pages of output. What am I to look for in specific? [3:58] <mbeierl> that makes more sense. ok, i'll start looking that up. thanks so much for the help! [4:11] <mbeierl> While I'm off looking at software, can anyone recommend a good email client - similar to thunderbird. Or is there a thunderbird port that won't eat all the memory? [4:19] <sco`> anyone tried the new v6-hf arch img ?? [4:20] <mbeierl> chithead, I thank you. [4:24] <mbeierl> but not for actually displaying the video via the hdmi? [4:29] <Twist-> SpeedEvil: I have one of those things.. they were not fast. [4:29] <mbeierl> I've got only 128m ram - what's the n900, SpeedEvil? [4:31] <tonsofpcs> pi is 256 total, some shared for video, how was the n900? [4:32] <mbeierl> where does it happen? [4:39] <AC`97> that card holder looks fragile. [4:40] <bircoe> damned expensive tho! [4:48] <wry> Who'd buy something named rascal? [4:49] <wry> Ha! Very true. [5:27] <cerjam> but hdmi just refuses. [5:28] <tonsofpcs> what distro? did you have HDMI connected on boot? wht device? [5:46] <cerjam> does raspbian have hdmi sound problems or is it just me. [5:51] <advancednewbie> On your way then? [5:52] <advancednewbie> Is there a good media player for the pi, any suggestions? [5:53] <cerjam> and nope, didnt work. [5:53] <advancednewbie> can I apt-get that? [5:58] <advancednewbie> What are the controls for omx? [6:00] <cerjam> its extremely conviluded. [6:00] <advancednewbie> What are you saving in sql? [6:02] <cerjam> 2 different versions of raspbian, 3 different installs all erfuse to output audio. xbian works fine. [6:02] <advancednewbie> It's probably latched on to your specific setup, but dare to share? [6:03] <cerjam> this is driving me cuckoo. [6:06] <cerjam> straight access to omxplayer has made me a happy boy. [6:08] <cerjam> i yanked all my usb and only left ethernet+power+sd+hdmi plugged in, no changes. [6:08] <cerjam> alright im going to have to get fancy. [6:09] <cerjam> id probably be better off just relying on analog sound. [6:10] <advancednewbie> what happens with -w on omx? [6:12] <advancednewbie> You don't have an arduino by chance? [6:37] <advancednewbie> What are you doing with tmux to get the keys working? [6:37] <advancednewbie> Just running tmux first? [6:39] <advancednewbie> Saved me a lot of time. [6:39] <HolyScott> irssi the best option for irc client for command prompt on a raspberry? [6:40] <advancednewbie> no wee client on pi? [6:43] <cerjam> you aint gonna believe this one. [6:44] <cerjam> i moved it to a new hdmi port on tv, sounds working fine. [6:45] <anticw> anyone here tried quake3? [6:46] <PhotoJim> HolyScott: I like irssi. Works well, easy to figure out, powerful. Not as CPU-hungry as weechat. [7:05] <atouk> how fast did you oc it? [7:05] <rvalles> so, where to get that key? [7:07] <atouk> sudo apt-update errors? [7:08] <rvalles> I never had it. [7:08] <steve_rox> what chat protocal? [7:09] <rvalles> the inlined key in that code is the key I needed. [7:26] <steve_rox> dont them 5v regulators waste power really bad? [8:07] <advancednewbie> What's everybody using for a webserver on the pi? [8:08] <advancednewbie> Any suggestions with the server? [8:09] <Twist-> No. My Pi is locked in the office at my apartment complex. I fell asleep and missed the delivery. oops. [8:10] <Twist-> crap, I used to run apache on a 4MB laptop. [8:11] <Twist-> 256MB goes pretty far if you're not running a GUI or a high load database. [8:12] <advancednewbie> apache runs good? [8:15] <Twist-> I was sort of depressed to see how much of a slog doing Linux From Scratch on the Pi would be. [8:18] <Twist-> advancednewbie: the amount of memory people are accustomed to in modern computers has gotten pretty absurd. [8:21] <advancednewbie> Any idea on how to accept commands though? [8:30] <ackthet> Twist-: you mean the 32gb in my VM server is too much? [8:31] <ackthet> 32 gb of ram is too little? [9:06] <asaru> but i honestly prefer wisconsin, where i'm from. [9:08] <cerjam> whats your project? [9:48] <mrpackethead> i'm trying to see if there is a way of make omxplayer more "responsive"
[9:54] <cerjam> i know of no way. [9:56] <mrpackethead> i dont' think OMXplayer is the right thing. [10:02] <advancednewbie> Do you have a means of switching between videos? [10:04] <cerjam> all i know is i went from 120w mediapc to 4w. [10:04] <cerjam> im so happy. [10:10] <RaTTuS|BIG> ^ do you mine bitcoins also ? [10:59] <RaTTuS|BIG> what did things when you pressed keys? [11:07] <gordonDrogon> but turning a horizontal flow-rate into energy is somewhat harder than utilising falling water. [11:11] <gordonDrogon> and speaking of falling water, I think engaging the dual impellor 1.8bar pump, plumbed into a round unit with lots of holes now might be a nice thing. [11:29] <DarkTherapy> gordonDrogon: thanks for clearing that up.. would never of guessed "shower"
[11:35] <gordonDrogon> DarkTherapy, Heh... much better now - 2nd coffee next... I love working from home! [11:35] <DarkTherapy> what's the weather like in Devon today gordonDrogon? [11:46] <cerjam> i really wish i had another rpi. [11:48] <cerjam> i need another one. DRATS. [11:50] <gordonDrogon> it's a bit dull today. [11:51] <gordonDrogon> however as a bonus when scouring the freezers for some lunch I found some frozen chocolate cake I made for an even a couple of month back, so I have coffee and chocolate cake - bliss!!! [11:58] <gordonDrogon> upgrading my old Acer Aspire One... slowly! it's the original SD card version which is even slower than a Pi's SD card. [11:58] <gordonDrogon> er, original SSd. [11:59] <trevorman> the mini PCI SSD one? [12:01] <gordonDrogon> I guess so. [12:02] <gordonDrogon> I've had it open and it's a sort of long rectangular thing. [12:06] <DarkTherapy> ultimate brownie points..
[12:08] <SpeedEvil> nexus 7 is awesome. [12:08] <SpeedEvil> at the moment it's cold in here, and I'm computing from under the covers. [12:09] <SpeedEvil> I am pondering adding one to mine. [12:11] <trevorman> chithead: SD would be recessed though. [12:14] <SpeedEvil> I've noted before that the upgrade path to a n7 with 64g flash, 2g ram, and a camera is simply putting the parts on the existing board. [13:22] <gordonDrogon> woo hoo - the postie's just been! [13:23] <Caver> and ... ? [13:24] <intelminer> Anyone here using raspbmc by chance? [13:25] <gordonDrogon> no, but I got some neat stuff from Tandy! [13:30] <InControl> Who Jessica Tandy, I think so "I'm Driving Miss Daisy"
[13:31] <gordonDrogon> Tandy is very much alive! [13:31] <ln-> btw, is armhf little-endian? [13:38] <trevorman> ln-: why do you need BE? [13:38] <trevorman> you that person that wanted BE to access some FreeBSD BE disk? [13:42] <ln-> trevorman: as BE is quite rare since Apple switched to Intel, it can be hard for an average developer to find a platform for making sure that his code doesn't have endianness issues. [13:59] <Caver> can you run ARM in both modes then? [14:19] <blahee> the server part doesn't need vc. I don't have it even installed in my armv6hl/fc17 test installation. [14:23] <RagBal> Does anybody have experience with Yocto on rpi? [14:27] <blahee> but the loader.bin is executed before kernel is started, so what does tha have to do with kernel running BE userspace? [14:35] <trevorman> loader.bin might actually load start.elf actually which then loads the kernel. can't remember the order. either way, the RAM is initialised by bootloader before the kernel even loads. [14:37] <Caver> hmm ... qemu would probably be quicker! [15:00] <Hodapp> trevorman: well, it's really only doing it natively in the presence of some other modules like KVM or QEMU, isn't it? [15:01] <trevorman> it was closed source. you paid if you wanted source I think? [15:10] <scummos> and doesn't that help a lot? [15:10] <Caver> translates it into C, then quickly compiles it! [15:11] <Caver> but not relevant for running x86 on arm! [15:13] <Caver> if you were trying to emulate a Pi on a Pi ... kqemu might be useful! [15:13] <Hodapp> I think kqemu is x86 only. [15:14] <Hodapp> I'd expect, though, that an ARM version of KVM is in the works. [15:14] <Hodapp> given the number of ARM devices out there and suhc. [15:14] <scummos> doesn't it even use some special processor features? [15:14] <Caver> what does ... Pi or Win98? [15:14] <Hodapp> scummos: On x86/x86_64 it requires virtualization extensions, yes. [15:15] <Hodapp> scummos: and I don't know that any of the ARM ISAs have these. [15:19] <Hodapp> Caver: what did Fabrice dream up? [15:22] <Caver> I likes his DVB encoder, that produces it's signal, as a harmonic of a VHF signal, outputting via your graphics card! [15:22] <Hodapp> ...at bootup. geesh. [15:25] <trevorman> that stuff was just urghhh. I needed to retarget GCC once. In the end I just found the closest architecture and just bolted on horrible hacks until it generated code I wanted. [15:26] <Caver> amazing what you can do, if you put a big enough brain behind it! 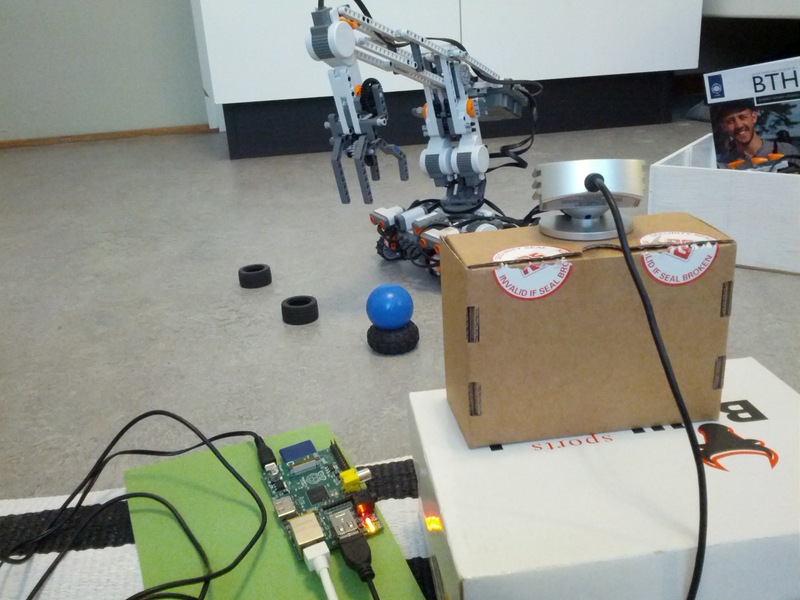 [15:27] <Hodapp> what is RaspberryPiBot hosted on now? [15:27] <trevorman> datagutt: we can finally say "yes. it IS hosted on a Pi. PLEASE STOP ASKING"
[15:35] <oal> datagutt: where in Norway do you live? [15:39] <oal> datagutt: at Hetzner? [15:39] <Denhart> datagutt: How much is that? [15:47] <Hodapp> AR__: Er, dude, I have a degree in EE and I worked in embedded electronics for years. I never failed to understand. [15:47] <Caver> what about somewhere like rackspace? [15:49] <digitlman> got my on demand o/c to work...any way to set the min freq to like 800? [15:50] <Caver> are you using turbo mode? [15:53] <digitlman> that seem about right? [22:44] -NickServ- This nickname is registered. Please choose a different nickname, or identify via /msg NickServ identify <password>. [22:44] -NickServ- You have 30 seconds to identify to your nickname before it is changed. [22:44] -NickServ- You are now identified for DataBot. [22:44] -MemoServ- You have 2 new memos. [22:45] <obcd> Agreed if you interrupt writing. But as long as you only read? [22:45] <trevorman> full journalling that is. not just metadata. [22:46] <obcd> Take any linux based router. [22:50] <obcd> Why would it corrupt in the first place? [22:50] <trevorman> it isn't specific to the RPi. you can kill SD cards with other devices. [22:51] <obcd> So how are you suposed to know when you can cut the power? [22:52] <trevorman> you make sure you're not writing anything? [22:52] <trevorman> write all buffers to card/disk. make sure nothing else is pending. [22:53] <obcd> you never know for sure. It's internal controller could be doing stuff? [22:55] <trevorman> you can do that with SD cards as well. eventually they die. [22:56] <gordonDrogon> it's really really hard to get something that's utterly solid and can cope with power cuts at any instant. [22:57] <obcd> So the only solution is removing power cuts at any instance..
[22:57] <gordonDrogon> even supercaps can't protect from a crash..
[22:58] <gordonDrogon> I built a load of embedded asterisk boxes at one point - I tied really really hard to make them crash and power cycle proof..
[22:59] <gordonDrogon> it's when you get to general purpose it gets harder... Bring back core memory!!! [23:00] <steve_rox> do super caps expode if you over volt em like regular ones? [23:02] <obcd> the xbox 1 had one for it's RTC. It often started to leak. [23:03] <obcd> It was a major xbox1 failure as the leak was conductive and corrosive. [23:05] <obcd> they dry out after a couple of years and start to fail. [23:06] <steve_rox> fun things to do with super caps ? apart from led stupidity? [23:07] <obcd> not really, they have a high impedance. [23:07] <obcd> You shouldn't pull much current out of them. [23:08] <steve_rox> so what fun thing could you do with em? [23:09] <obcd> Most of their use is as backup power source for RTC's and the memory of digital equipment. [23:10] <obcd> nope, they are 2 high impedance for filtering purposes. [23:10] <steve_rox> probly could find a use for the pi tho? [23:12] <obcd> You can buy prebuild unit's with a couple of such batteries in them. [23:13] <obcd> used to charge your cellphone or power other usb devices. [23:13] <obcd> Isn't adafruit having them? [23:14] <obcd> So, the protection circuits for charging and discharging are integrated already. [23:15] <steve_rox> is their any special descriptive word for a pre built one? [23:16] <advancednewbie_> I have it, expecting it to be cheap crap, but it's actually really good. [23:19] <obcd> They shouldn't under normal operation. [23:21] <obcd> Why do they put electronics in a microwave? [23:22] <obcd> Or a bender? [23:22] <AC`97> firecracker in microwave?? [23:36] <edh> Anyone ran CUPS and lived to tell the story? [23:37] <misterhat> did you write that JS? [23:59] <dyme21> Does anyone know if vlc runs well on Raspbian?